Morning everyone! 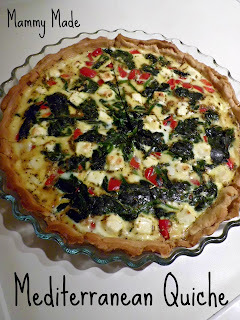 I made this delicious mediterranean quiche for my two girls yesterday and they loved it. It is yummy, packed full of vegetables and easy to make. It is also very tasty cold so is good for leftovers. Sounds good to me! Preheat the oven to 200C / 400F / GM6. 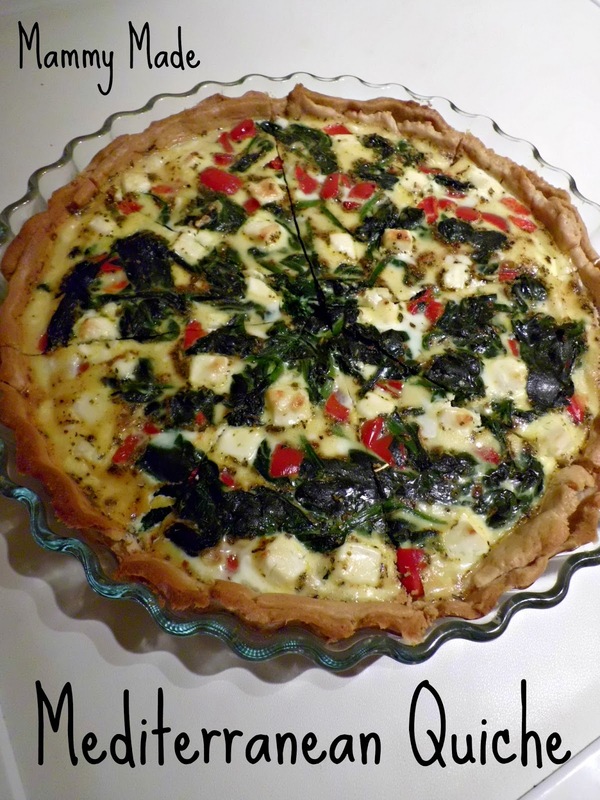 Use the pastry to line a quiche dish. I used a large 10" pyrex quiche dish so I had to piece the pastry together a bit to get it to fit. I covered the bottom then used the extra to add a bit more crust to the side. I like it better this way, it has more of a crunch and I think just tastes nicer. Prick the pastry with a fork then bake blind for 10 minutes. Meanwhile, fry the red pepper in a little olive oil until soft. Add the spinach along with 2tbsps water. Cover and leave to steam cook until wilted. Use the oats to lightly cover the bottom of the quiche. This helps a lot when using wet ingredients. You don't want to end up with a soggy base. Squeeze as much liquid as possible out of the spinach and peppers and add to the quiche. Scatter the feta cubes on top. Mix the eggs, milk and seasoning together in a jug then pour on top of the vegetables. Cook for 30-40 minutes or until the pastry is golden brown and the eggs have set. I personally think that the only way to eat quiche is with Heinz baked beans and salad cream. Tasty! Yum yum. I should try this. Thanks for sharing!